My family and I only make it to the Boardwalk a few times a year, but it’s definitely a favorite spot. Every time we go, my son wants to stop in at the “museum place,” one of his favorite parts—believe it or not! The Historium showcases some photographs that are more than 150 years old, and he is fascinated with the beachgoers’ old-fashioned swimsuits. He looks at the old panoramic shots of the boardwalk, and I know he’s trying to wrap his mind around the fact that those crowds filled this very spot over a century ago. It got me thinking about camp in the same way: how so many generations of campers have come through our little universe over the decades—for much longer than I’ve been around. If I close my eyes, I can see the first day of camp 70 years ago, almost like a black-and-white, choppy, charming film reel. The truth is there isn’t a whole lot that’s different between then and now. My son, staring at those fading photographs, helped me to realize how much I can feel the influence of those past generations in our Kennolyn summer camp traditions today. Now, when we tour the Boardwalk, I see it all with new eyes—eyes that can’t help but see parallels between the life of Santa Cruz’s iconic Boardwalk and the colorful life of summer camp! 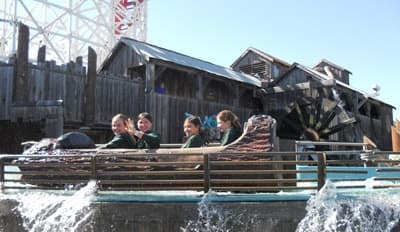 Once, as we were waiting in line for a ride, my son asked me, “Do you think kids a long time from now will be thinking about us from a long time ago?” His question got me thinking about how tradition itself tends to make activities more fun. 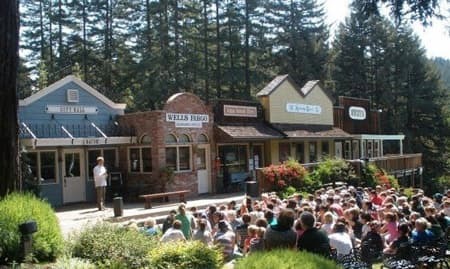 One of Kennolyn’s most important traditions is Outpost, a 24-hour trip into the redwoods. It’s all about working together and learning to survive on what we can carry on our backs. It’s probably even more meaningful now than it was 70 years ago because so many kids are intimately linked to technology. Until they come out to see us, it doesn’t even occur to them that it’s possible to live without things like light switches, flush toilets, microwaves, and touchscreen amusements. 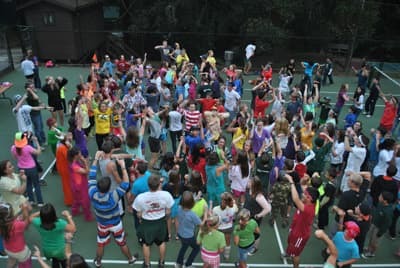 Not only is it possible, but it also connects them with the campers who came before them, went on the same kind of trip, sang the same songs, and made the same foil stew over a campfire—and they love to learn about that connection. The Santa Cruz Boardwalk and Kennolyn both capitalize on people’s love of high-flying thrills. The Sky Glider, the Ropes Course, the Sea Swings, the Trapeze—they all offer a bird’s eye view and the challenge of practicing courage and trust. 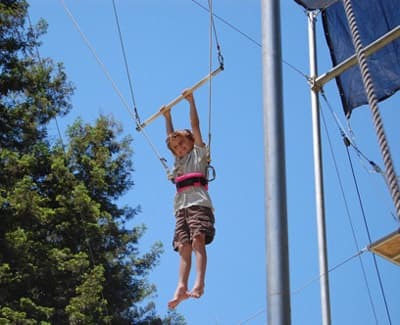 High up in the redwood trees, our campers revel in the Ropes Course as if it were a once-in-a-lifetime opportunity, yet they get to come back and do it again next year. 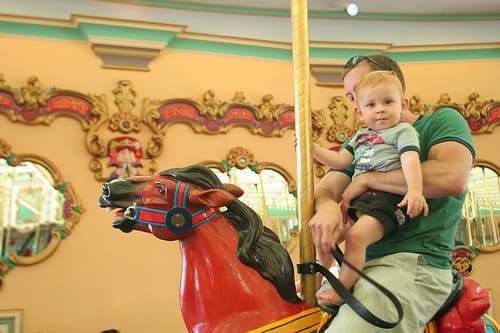 The Boardwalk’s oldest ride is the Looff Carousel, with magnificent hand-carved and painted horses. It arrived in Santa Cruz in 1911, and its 73 horses have been lovingly preserved ever since with regular polishing and touch-ups and even major restorations to repair legs and holes. Similarly, a major part of Kennolyn’s equestrian activity is caring for our horses daily. 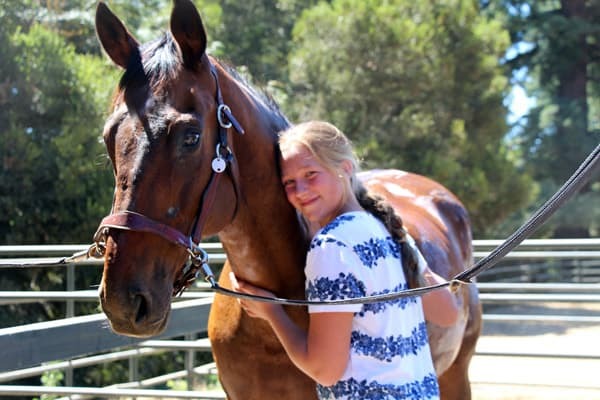 Campers build strong relationships with their horse companions, whether that’s during short rides or longer treks into the woods to set up camp for the night. Some of the carousel horses capture the form of vaulting steeds, and some of our campers learn to vault with our horses for real. 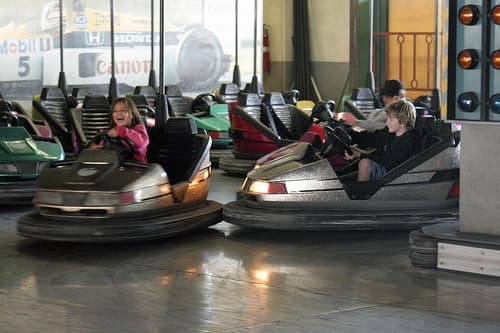 Filling a summer camp with kids and giving them permission to practice independence is delightfully reminiscent of the bumper cars that crash around at the boardwalk. In other words, campers can’t escape conflict when they’re living in a small community built on everyone’s input. If two girls who share a cabin can’t agree on who gets the top or bottom bunks, they have to figure out a way to compromise, or no one will sleep! 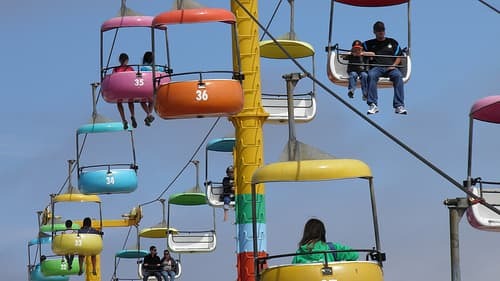 Okay, we don’t have an explicit policy that bans pilotless aircraft like the Boardwalk in Santa Cruz does, but we do ban smartphones and other devices, so our campers don’t just wander around like drones. The Boardwalk welcomes everyone through its gates, and Kennolyn hosts kids of all ages—adults included. 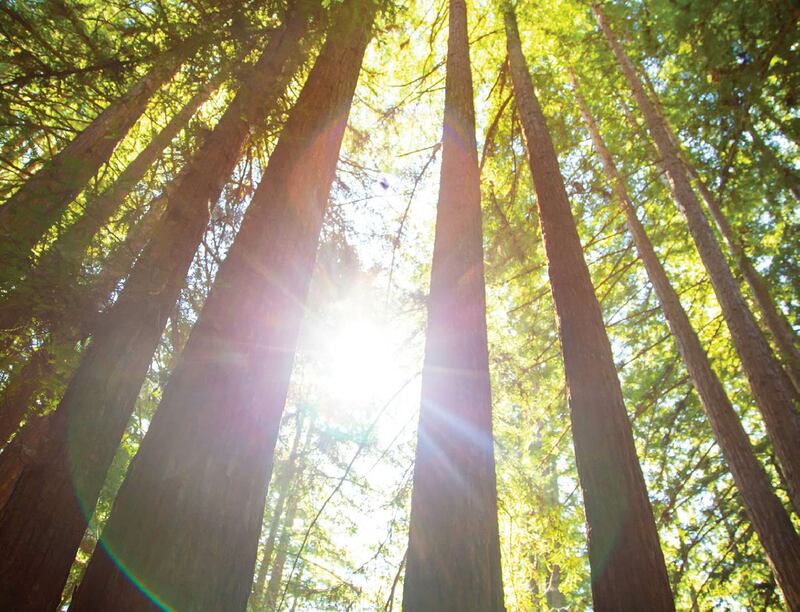 Everyone shares in our greatest tradition: campfire, where we sing, roast marshmallows, and entertain each other under the stars and the redwood canopy. While most of our programming is designed for kids entering 1st through 12th grades, our Family Camp brings everyone together into our timeless bubble. Just like on the Santa Cruz beach, you’ll see Kennolyn visitors of every age splashing around in the pool and soaking up the sun. 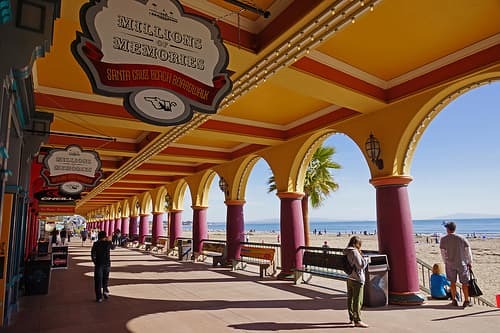 Where the parallels really come to life, though, is during day trips down to the Santa Cruz Beach Boardwalk itself. Those trips are built into each of our two-week sessions, and they’re a chance for kids (garbed in Kennolyn green, of course) to see these similarities in action! To learn more about the values and traditions that drive camp life at Kennolyn, get in touch!